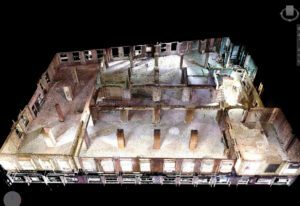 A 3D laser scanner captures intricate architectural details of building interiors and complex existing conditions, accurate to 1/16”. With additional software, the data from the scanner can be integrated into BIM (Building Information Models) and used for trade coordination. Using a laser and a precisely controlled spinning mirror, the scanner bounces a laser off surrounding surfaces, creating a digital replica of the space with hundreds of thousands of points floating in space–making a point cloud model. If you can see it from the scanner location, the scanner will pick it up. Multiple scans can be stitched together and consolidated. 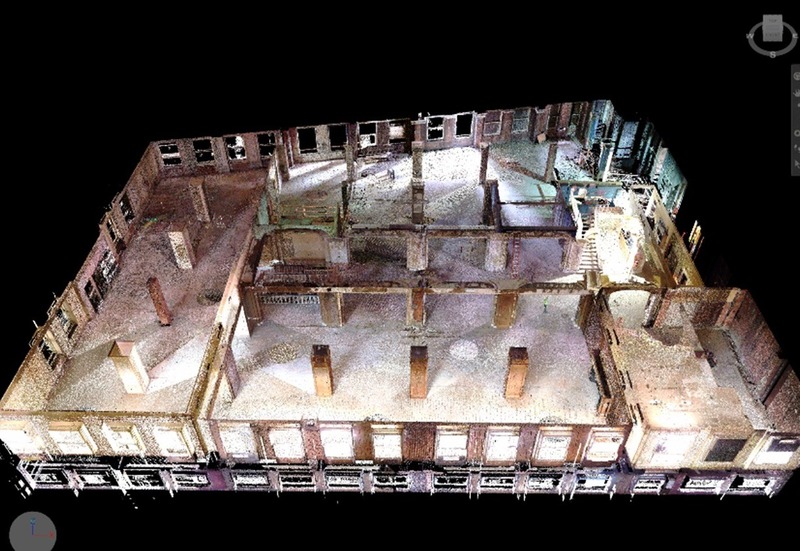 After the laser scans the room and imports the drawings into the cloud, MEPs and trade contractors participating in the MEP coordination process have immediate access to these files and can interweave and incorporate their trade drawings into Point Cloud coordinates. 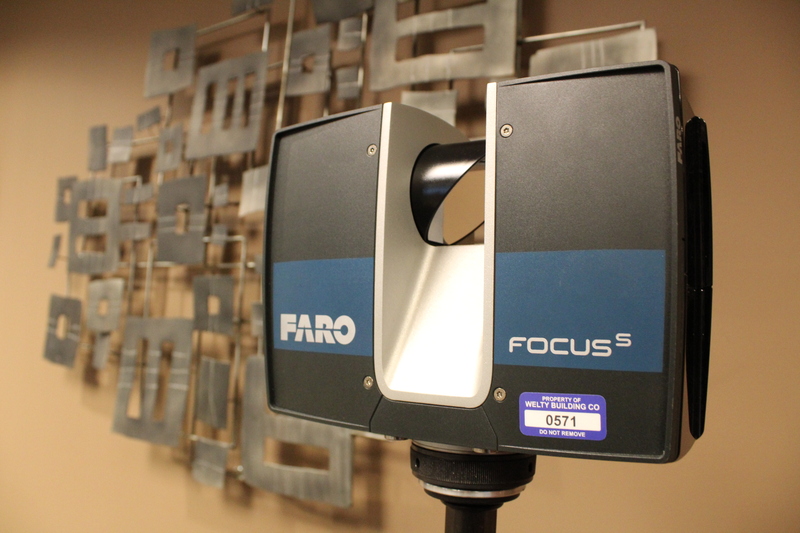 The basis for these machines, commonly known as LIDAR, has been around since the 1960s. The interface on the hardware, portability, and accessibility to such equipment has dramatically improved over the last 10 years. There are new entry level machines hitting the market for less than $20,000 that offer the same technology at a lower resolution and range of measurement. High-end machines with extended range, ultra-high point resolution, and quick data processing typically cost over $100,000. Architecture firms, surveying companies, and civil contractors often use this technology for quick and accurate measure of real-time conditions. It’s widely used outside of the AEC industry, too. What are the advantages of using a 3D scanner compared to past techniques? It would take several hours per room to capture the same level of detail as it would in 10 minutes with a scanner. 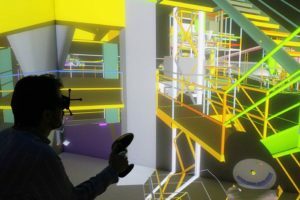 Also, we offer additional hardware and software that allow team members to virtually walk the site with virtual reality goggles from a remote location, navigating through a model generated by the scanner, and taking measurements in areas of interest. And most importantly, it improves safety and can eliminate risk. On one of our projects, new mechanical systems were going to be designed and installed in the ceiling space above a pool and the team wanted to understand the clearances available within that space. It would have been extremely risky and time-consuming for a person to manually investigate the space with the structural limitations of the ceiling system. How much faster does this technology compress the total project delivery? Having highly accurate data about existing conditions when overlaying trade system models saves us several weeks in the schedule because we bring to light building features that might create obstacles in the future layout. We’re actively looking for solutions with the presented constraints, instead of waiting to figure the puzzle out in the field. 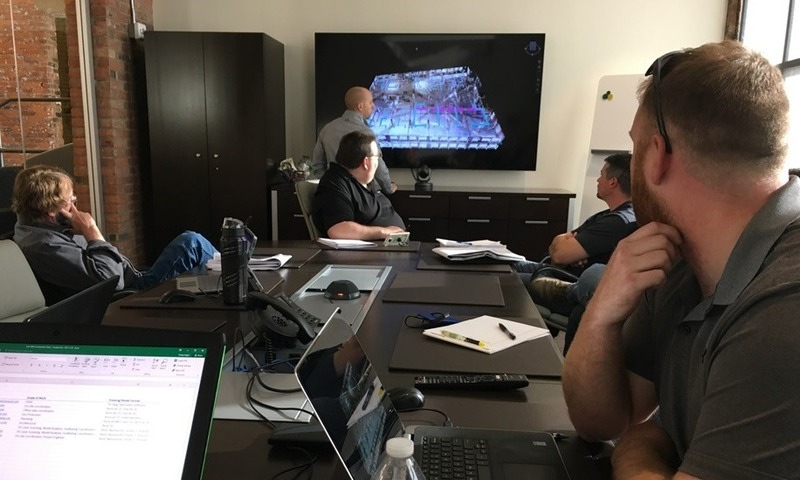 We were able to save time on one of our projects when we performed additional scans to capture real-time construction progress in a model format. This allowed users to compare and contrast changes to the site over time and make quicker decisions. How does the accuracy compare? The standard technique can be just as accurate, but would be much more time consuming, risker, and would require professional surveying tools and techniques. The more detail there is, such as arched ceilings or other intricate architectural details, the more beneficial it is for a laser scanner to capture this information vs. traditional measuring techniques. How does it improve quality control between trades? The cloud integration allows all involved to work from the same precise file, allows the team to see where system-to-system conflicts existed and allows immediate identification of conflicts with existing structural elements or MEP systems. It improves quoting and proposal accuracy – an advantage for both the CM and Owner. It gives the project team the ability to take linear and area measurements of a 3D model for quick quantification of materials for estimating, even before an architect is involved in the project. Using laser scanners on a project isn’t necessarily cheaper up front, but it adds a ton of value to the project team because it equips them with so much information that they would not have from 2D as-built documents. Simply being able to see it in 3D communicates the big picture more effectively, and allows team members to make well-informed decisions on system design early in the process. This saves the project money in ways that easily make up for the upfront investment.